Future Bridge Repairs. Expect delays: Over the next 30 days, the City of Youngsville will be working on 4 bridge repairs. Work is expected to begin the week of April 1st with the bridge on East Milton near Route 92. The bridge will be open but limited to one lane traffic only to facilitate repairs. 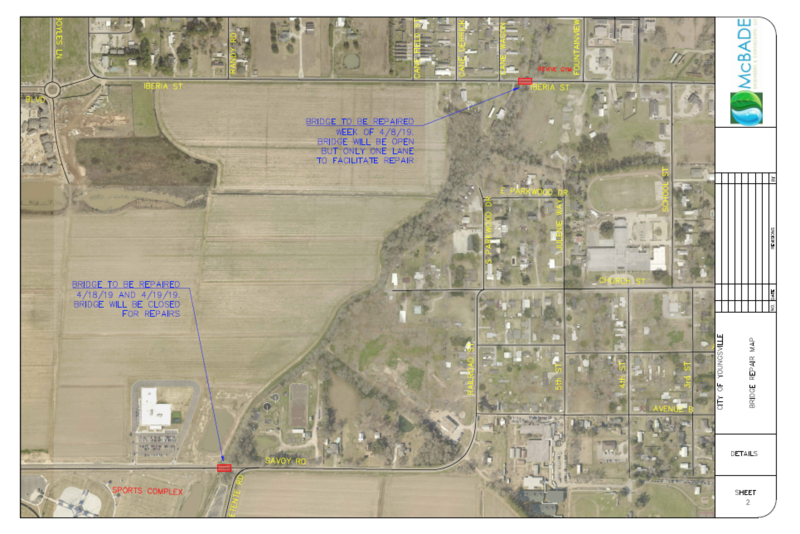 During the week of April 8th, the bridge on Iberia Street at Bayou Parc Perdue just west of Fountain View Drive will be repaired. The bridge will be open but limited to one lane traffic only to facilitate repairs. 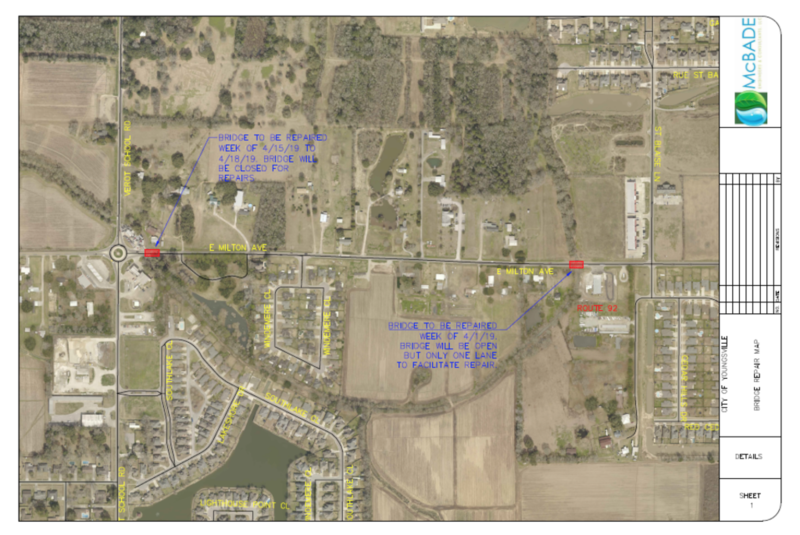 During the week of April 14th, the bridge on East Milton near Oak Knoll Subdivision just east of the roundabout at East Milton and Verot School Road, will be closed for repairs. The work is expected to take 3 days. Immediately following, the bridge on Savoy Road at Bayou Parc Perdue near the Youngsville Sports Complex will be repaired and will be closed for repairs. We apologize in advance for any delays and inconveniences in order to complete these very important bridge repairs. Please be courteous and drive carefully in these construction zones. If possible, please plan to take alternate routes to minimize any delays. Thanks for your patience as we continue to improve our infrastructure.